Do you love KIMCHI? VEGAN CREAM CHEESE? or SAUERKRAUT? or all of the above! 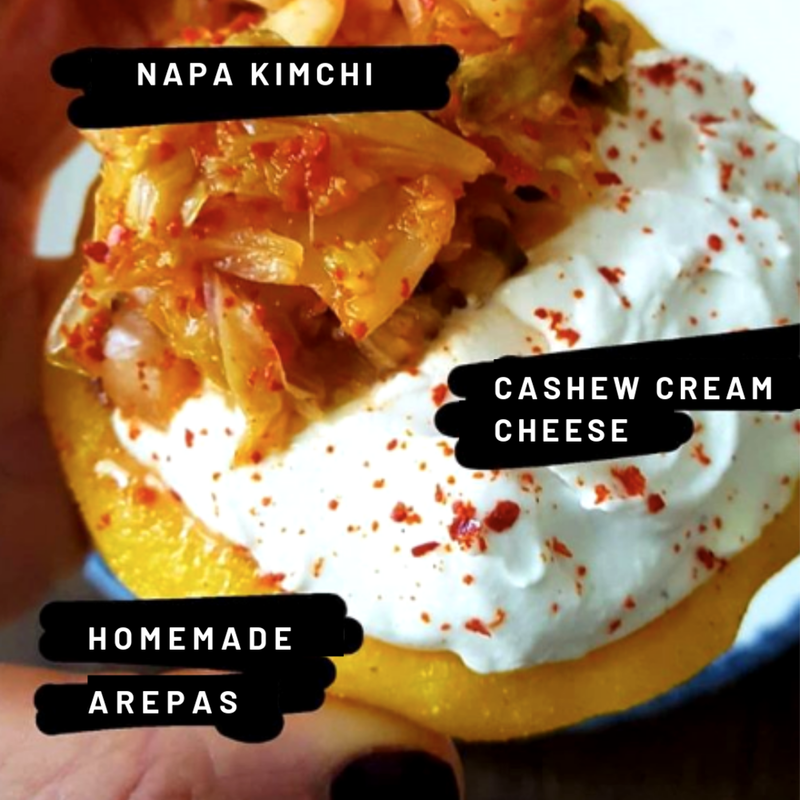 Have you ever had the desire to learn how to make these wonderful fermented foods at home only to be put off by how difficult and complicated they can seem to be? Then this workshop may be for you. - Sauerkraut with beetroot and cabbage. - Fermented cashew cream cheese. We will finish the workshop with an abundant tasting of all of the above on HOMEMADE AREPAS! (a delicious South American corn bread). You will not leave hungry. You will leave the workshop with your own small jar of sauerkraut to take home and look after for a couple of weeks until it ferments! Hope to see you there! * A glass of my homemade Kombucha. * Recipes of all that you learn. * Your own jar of sauerkraut to take home and look after! DYE & DINE - A Natural Dye Class and Dinner.